My little fam is made up of huge lovers of the ocean. My husband surfed for a living for many years and has seen many parts of the world. My son before the age of 5 was standing up on his surf board catching waves. My daughter is pretty good at making Barbie surf on her kick board and I’m just amazing at sitting on the beach. =) Needless to say, we are at the beach a lot watching the waves, so I thought I’d share some ocean themed items that are just adorable to put in a kids room. I’ve been a huge fan of this wave wallpaper for such a long time. 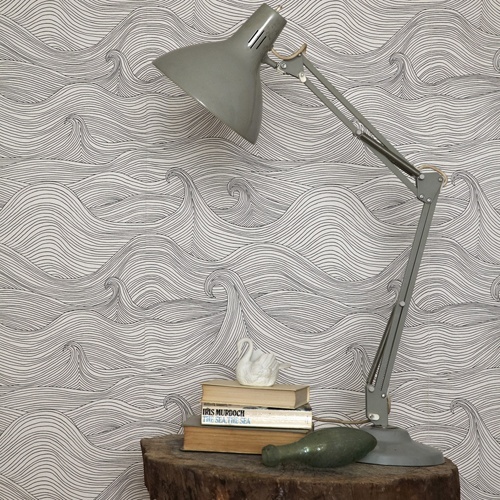 It is perfect for an accent wall in a nursery or kids room. 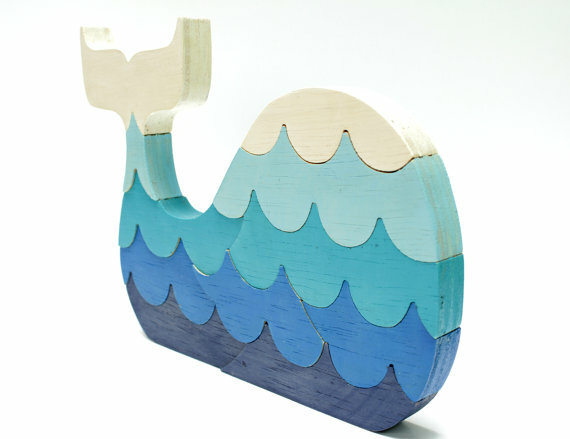 The cutest whale puzzle made out of Ombre waved shaped pieces…seriously the cutest! 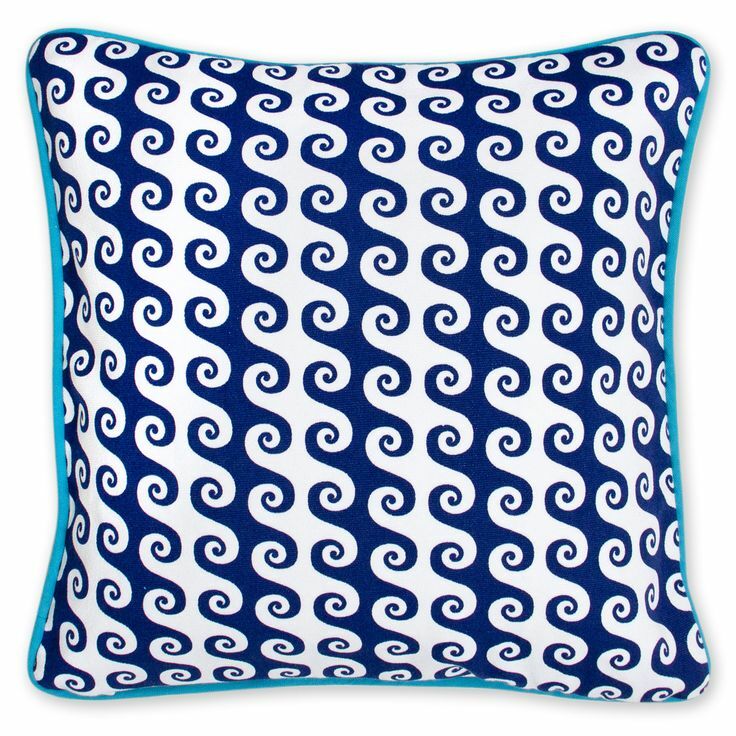 Love this abstract take on a wave print for this blue and while pillow. 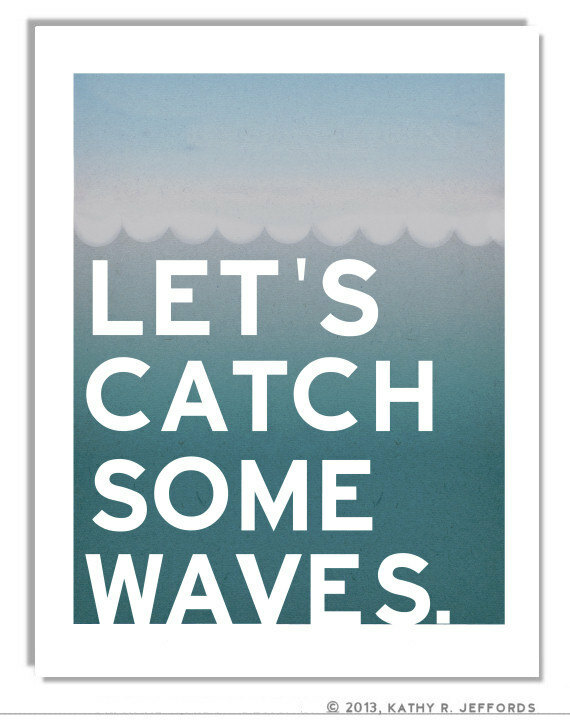 I love this print and the way the Ombre effect makes it look like the ocean. Be sure to contact me if you are planning on creating an ocean room for your little one…I’ve got plenty of other items to fit with this theme. I think you should try surfing too 😉 Love that wallpaper!